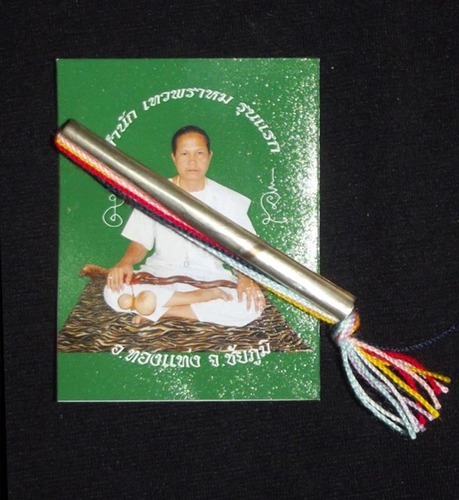 Thai Buddhist Takrut Amulet for Improving Karma and Protection from all Dangers and Inauspicious Events, using Puttakun Magic of the Purely Auspicious Variety. Pure White Magic empowered with the Assistance of the devas who can only be called on the Auspicious Sai Ha Day. Sacred Takrut Empowered on the rare ‘Sao Ha’ date of the Fifth Lunar Saturday of the Fifth Lunar Month in Sequence in 2553 BE. This Takrut is Classic, and of Ancient Methods, in the Wicha applied to its Empowerment. Its Auspicious and Luck Bringing blessing ceremony was held on Saturday the 20th of March 2553 BE (2010), which was a Fifth Rising Sequence of the Fifth Lunar Month. 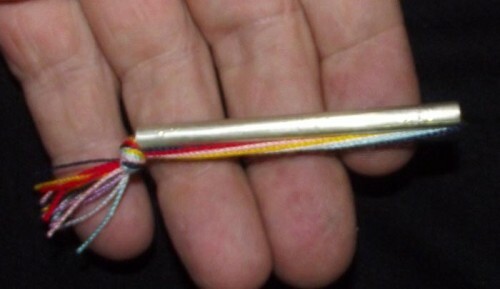 The Takrut uses Puttakun (Buddhakhun) Power, pure Buddhist Blessings which offer the Magical Assistance of the takrut with absolutely no Karmic Disadvantages to be wrought. The Takrut will both Protect and Create the Casuses of Auspicious Blessings such as Prosperity, Increased Lucky Fortunes, Good Health, Popularity at Work and Socially. Magical Qualities; Serm Duang (Improve Karma and Fate), Klaew Klaad (Evasion of Dangerous Circumstances), Kong Grapan (Invincibility), Choke Lap,(Luack and Riches) Pongan Roke (ward of Illnesses).